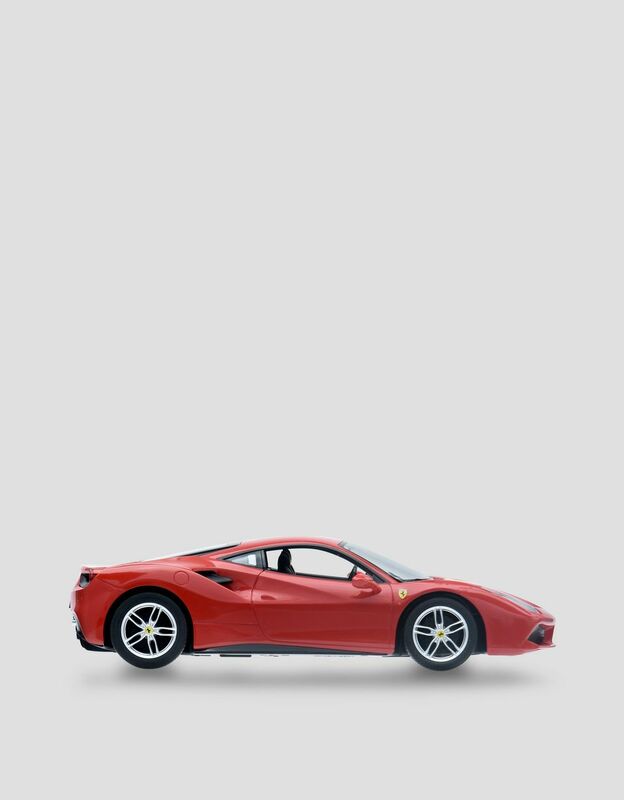 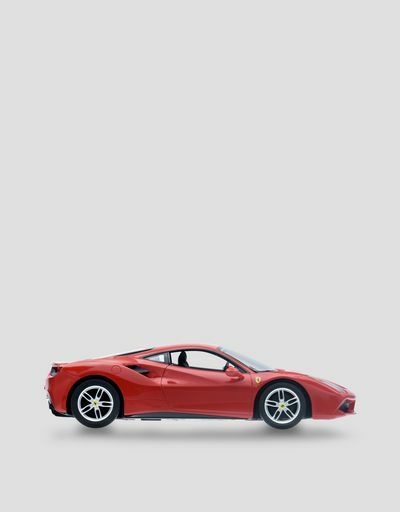 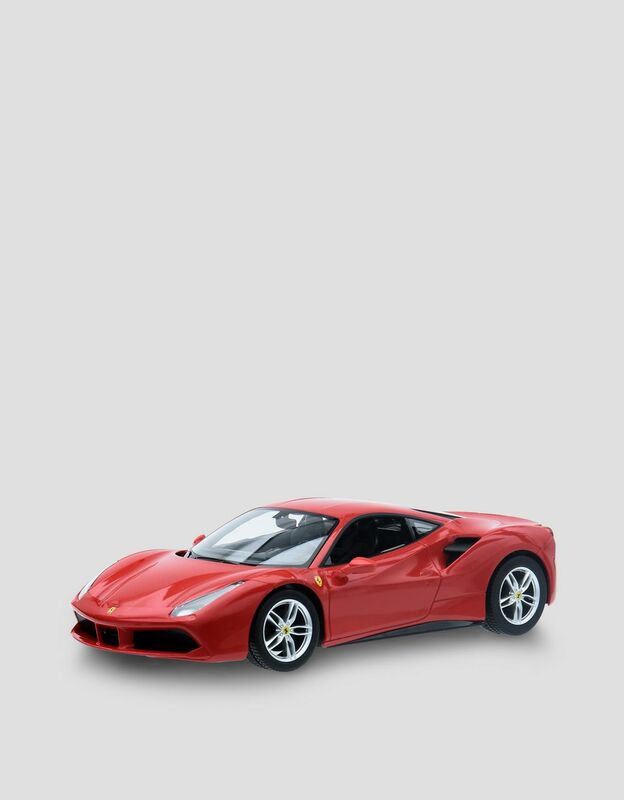 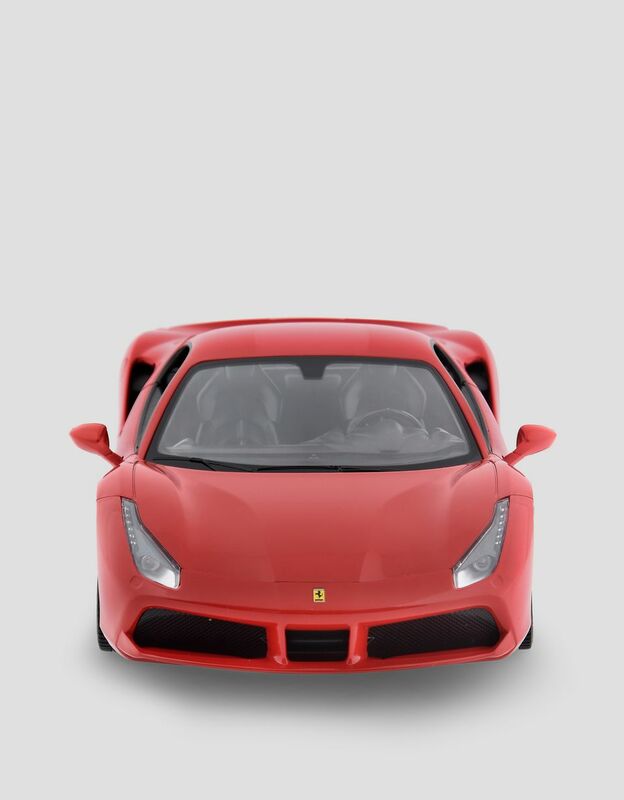 This radio control 1:14 scale replica of the Ferrari 488 GTB features 6 driving directions and a speed of 9km/h. 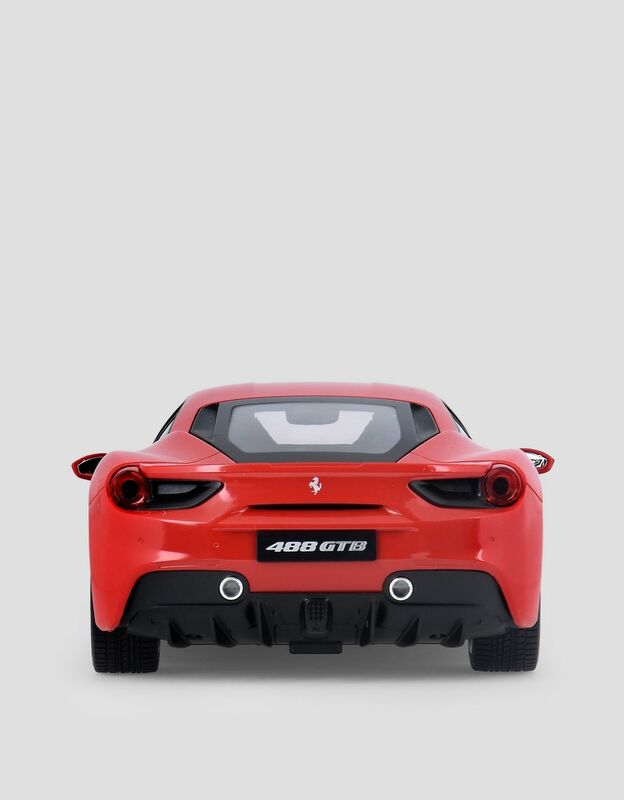 The car that pioneered a new chapter in the history of the 8-cylinder engine at Ferrari is reproduced here in each and every detail in an exceptionally accurate miniature. 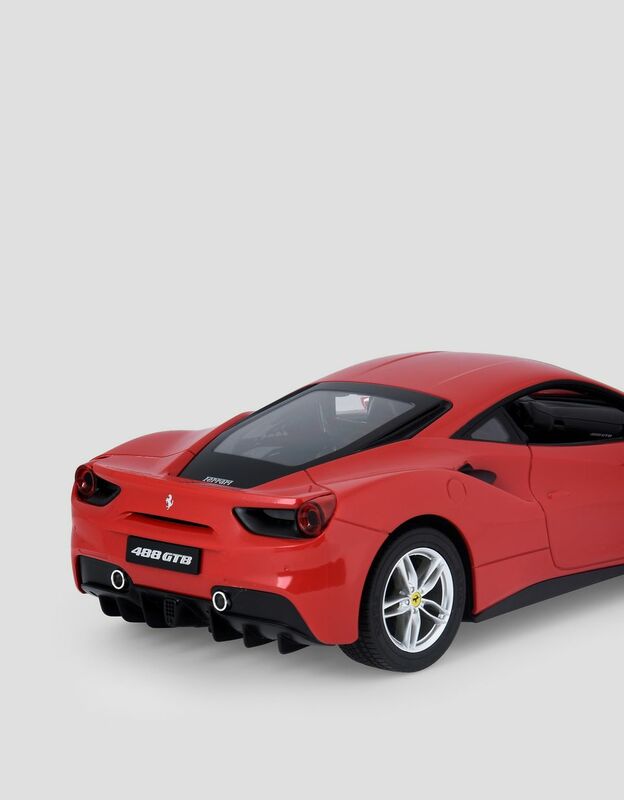 This full-function radio controlled model features 6 driving directions and can reach a speed of 9 km/h. 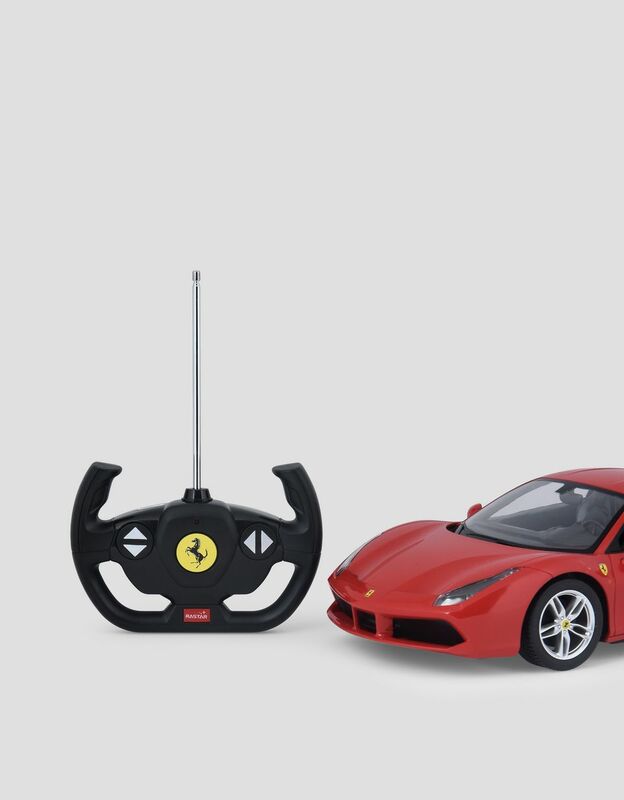 The model car requires 5 batteries , the remote control is powered by 2 AA batteries.